Your home is a reflection of yourself. Nowhere is that reflection more important than in the kitchen! Lovingly described as the heart of the home, it’s where you spend time making food and connecting to your family. What style do you chose to reflect your personality? 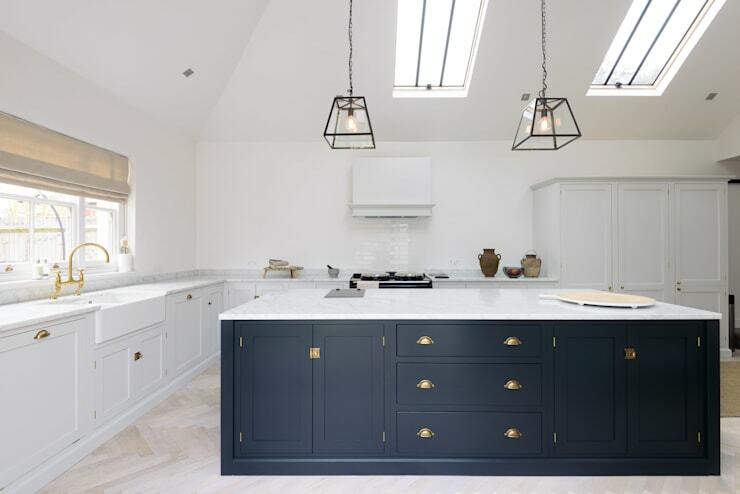 Today, we’re looking at two popular kitchen design trends that have their roots in Southern and Northern Europe. 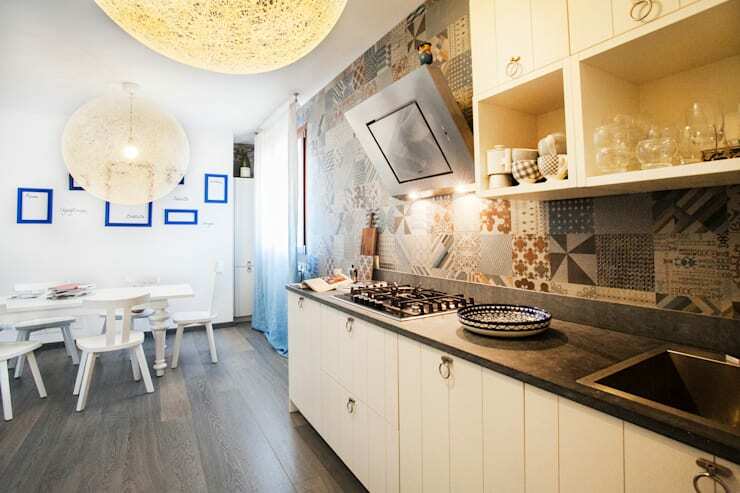 Mediterranean style kitchens have a natural warmth, while Scandinavian style is cool.You can connect with kitchen planners on homify to get started on your dream kitchen today. Which style is better? Take a look at the kitchens we’ve assembled to discover for yourself. White and blue transport you to Greece. 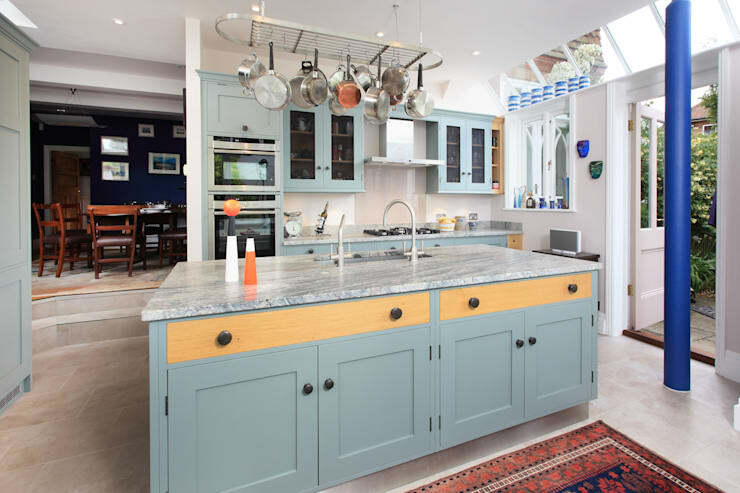 Mesh panelled cabinets and striking granite countertops add Mediterranean style to this cheerful kitchen. 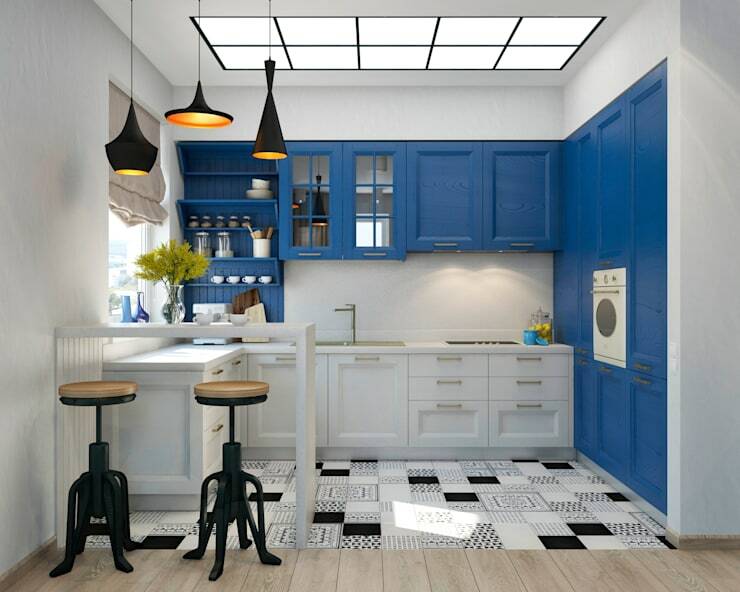 Vibrant and artistic floor tiles in a black and white motif add charm. Mediterranean kitchens look great in signature terracotta tiles, too! 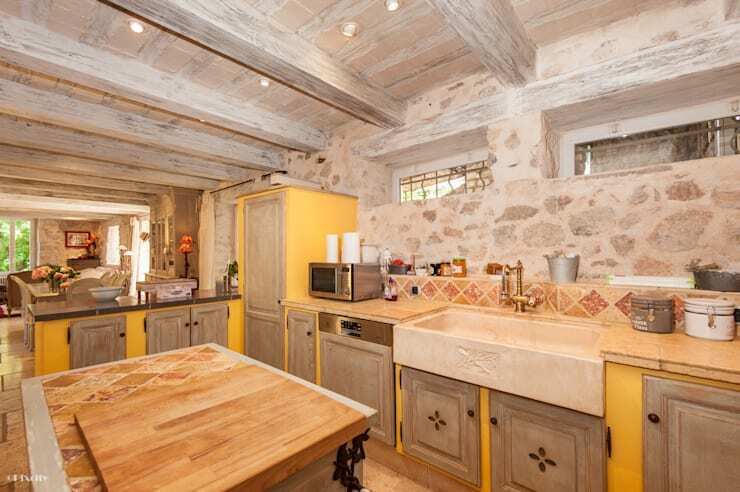 Rustic touches and earthen tones set a Mediterranean vibe in this kitchen. Add a smattering of potted herbs to soften the look and bring more authenticity to the kitchen. Feel the warmth in this rustic kitchen that uses intriguing materials like stone, brick, and wood to create the look. We love that sunny, Tuscan yellow! Crisp, white, modern. 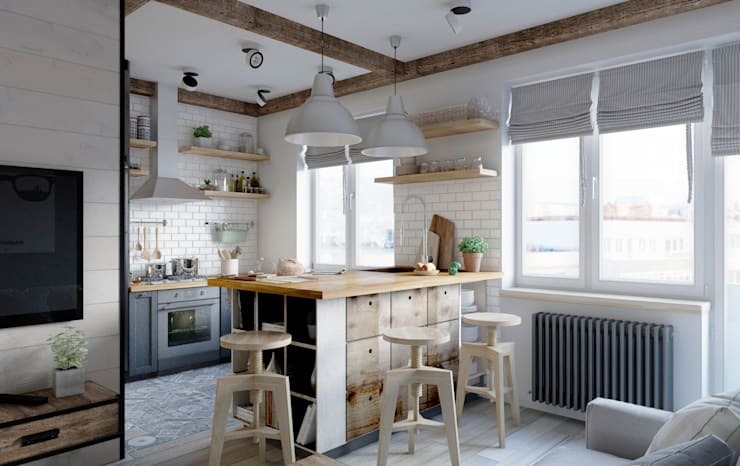 This Scandinavian kitchen uses wood to give a hint of warmth. 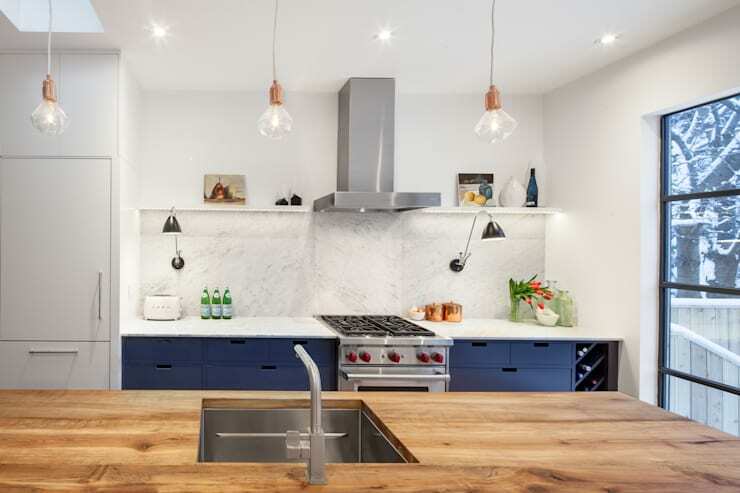 It was part of a note-worthy renovation by Ottawa's Jane Thompson Architect. Simplicity is at the heart of Scandinavian design that favours minimalist fixtures and materials. There are no frills to the white cabinets or the wood island in this kitchen. Want to see more of this kitchen? Take a virtual tour! Open shelving in this kitchen is honest and frank. A utilitarian storage island in the centre helps separate the kitchen in this open plan arrangement. 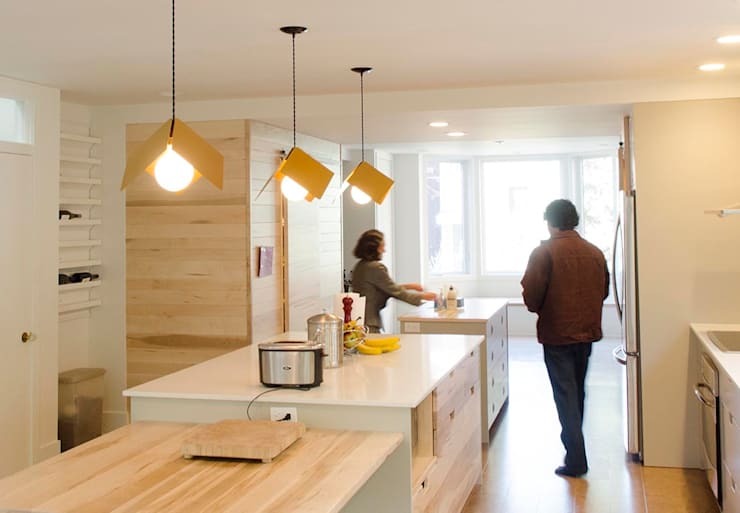 Now that we’ve come to the end of our Kitchen style battle, which reigns supreme? Mediterranean style: best for those who love warm, homey, rustic touches in their kitchens with serious character and charm. Scandinavian style: best for those minimalist-minded types who crave style and simplicity. Thanks for checking out our style battle! Next, prepare yourself for a bedroom style battle where minimalist faces off with modern. Warm Mediterranean or cool Scandinavian?